Title: Literal Madness (Grove Press, 1988). Contents: – Kathy Goes to Haiti (first published in 1978 in a limited small press edition), My Death My Life by Pier Paolo Pasolini (first published by Pan Books [UK] in 1984), Florida (first publication, 1988). This title ambushed me while I was on a weekly book scrounging trip. The location was typical: a local second-hand shop where little of note is usually found among the books. The customers are another matter. It’s the sort of place where religious propaganda greets you at the front door and the good folks let their kids run with used knives through the aisles. Once I saw a child parked in a wheelchair by the front door, near the umbrellas. In winter. One might say as much for how the employees treat the books. They are thrown together there in terrible piles on crooked shelves, without regard for spine or genre. These are books that will never be “touched by the mild boredom of order,” to borrow a phrase from Walter Benjamin’s essay about book collecting. Volunteers who stock the shelves care less for how they shelve most titles. Do you want to find a used copy of Crime and Punishment? You should look in the “Law” section, for example. The more well-organized section of religious books is another matter; but I will sometimes move a copy of George Carlin’s When Will Jesus Bring the Pork Chops? to that section, if only to make a point. Back to the title in question. Yes, I was surprised to find it, but not only because I found it in a state where Kathy Acker isn’t exactly widely read (nonetheless, well-read literary deviants populate every corner of the world, you know). Rather, I was surprised because the dust jacket blended in so well with the other books where it was stacked with genre fiction consisting primarily of brightly jacketed romance novels. At first glance, I mistook it for an early Carl Hiassen book, one of his Miami mysteries, palm trees and all, and Florida, the third title on the jacket, didn’t help. 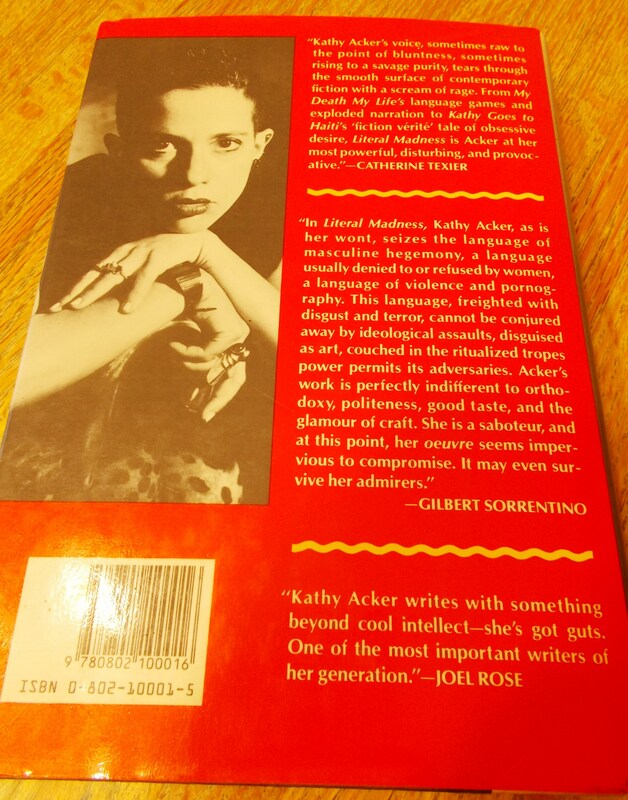 I thought, “oh, Kathy Acker – she must write cheap genre fiction.” But Pasolini’s name jumped out at me from the jumble of type and I immediately realized it was a relatively rare copy of a work by the Kathy Acker. No one should be surprised, however, that Grove Press was Acker’s publisher and continues to publish her works. Grove Press had a long history of supporting experimental fiction and its publication of “scandalous” books was often challenged in the courts (that story, and the life of Grove’s founder Barney Rossett Jr. was documented in the 2007 film Obscene!). In historical terms, Grove and Acker seem a perfect fit: both worked audaciously at the intersection where literary experiment courts sexuality. 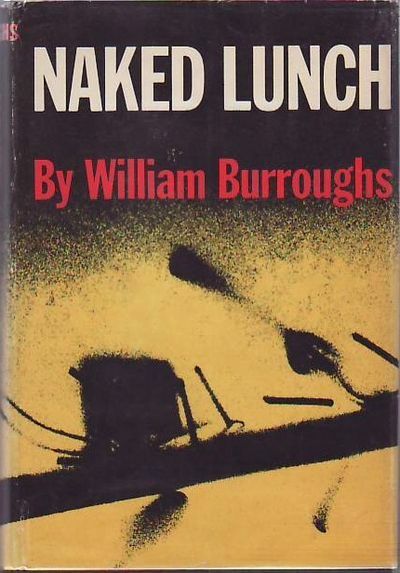 A book’s dust jacket should capture the sensuality of that endeavor in some visual form. This dust jacket is instead the visual equivalent of the jukebox playing a Jimmy Buffett song as you walk into the bar to meet a hot date. Aesthetics – there is much of it in the materiality of collecting books. The tasteless dust jacket aside, the good folks at the religious charity thrift shop did put out a nice copy of the 1st edition of Literal Madness. It has only very light shelf wear, no sticker marks, and a bright (too bright? ), intact dust jacket. 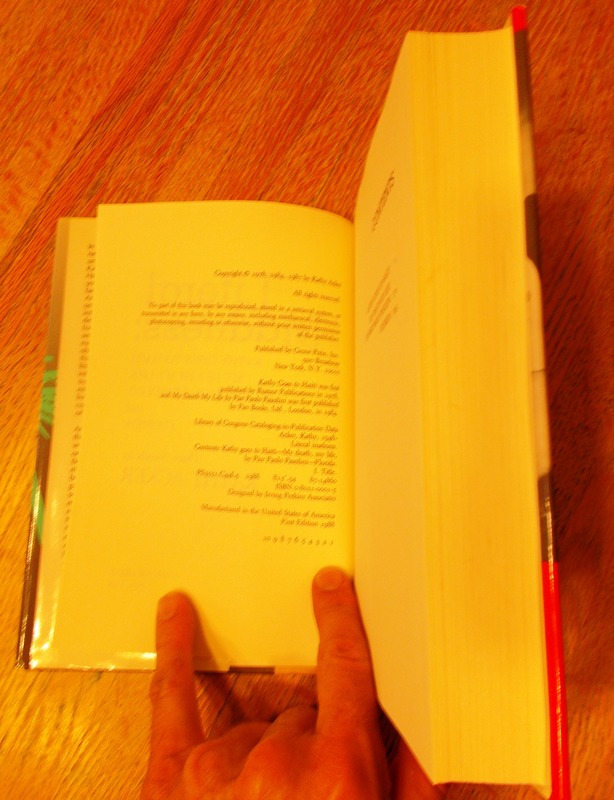 The binding is tight; the pages are clean and without sun fading or dust spotting. In all, it’s a really nice find for my collection at only $1.49. 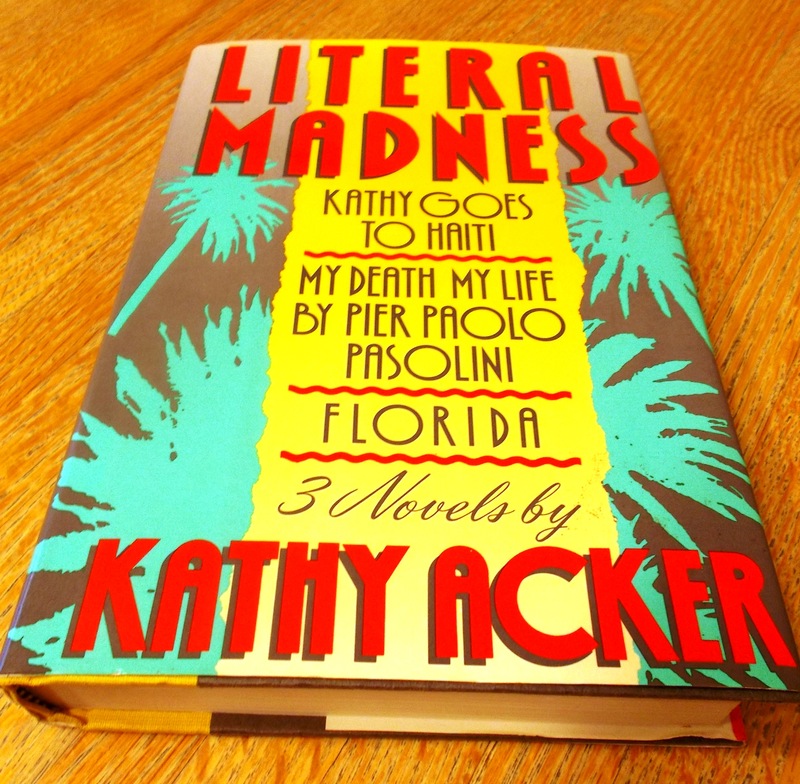 Grove keeps a paperback edition of Literal Madness in print, the design of which is mercifully consistent with other Grove titles by Acker. Looking up comparable copies later that day, I was yet again surprised: this time I noted that Acker’s books are not highly collectible. This is not entirely surprising to me; her erudite fiction demands attention. But so does James Joyce. The low collectible value indicates how collectors tend to overlook experimental literary writing by women, and particularly contemporary women (“classics,” such as works by Stein or Woolf, are another matter). For instance, I found a signed first edition of Literal Madness, in comparable condition to the copy I found, for sale on line at the low price of only $75. A confession, as I conclude: I admit I was tempted to replace the awful dust jacket of Acker’s book with the jacket from one of the Left Behind novels and place it on the religious fiction shelf. The trap set, I might have even waited around a bit in the hope that some hasty zealot would take Kathy home, a Trojan horse of literary blasphemies wrapped in the jacket of one of those corny “end of days” books. But that would be too easy. The trick had already been played, on me, by a jacket designer in the 1980’s who wrapped a great writer’s work in kitsch, and almost made me think I was looking at some generic trash, if only for a second.